There are just days to go in The Royal Mint’s search for a ‘distinctly British’ design for the reverse, or ‘tails’, side of the new £1 coin which is due to enter circulation from 2017. Members of the general public have until Thursday 30 October to submit their creative ideas for the nationwide competition which was launched by The Rt. Hon George Osborne, The Chancellor of the Exchequer in September. The lucky competition winner will earn a once in a lifetime opportunity to put their art in everyone’s hands for years to come, on millions of new UK £1 coins. At Budget 2014, the Chancellor announced that The Royal Mint would manufacture a new £1 coin, which will be the world’s most secure circulating coin, helping to reduce counterfeiting and enhance the integrity of the United Kingdom’s currency. The final specification of the coin is to be confirmed following a public consultation, but the proposed £1 coin is distinctly British, with a twelve-sided shape similar to the pre-decimalisation threepence piece, popularly known as the “threepenny bit”. And its expected design will have a similarly British flavour, as budding designers are being asked to suggest designs that show what Britain, or ‘Britishness’ means, drawing on all of the qualities and quirks that make our nation unique. 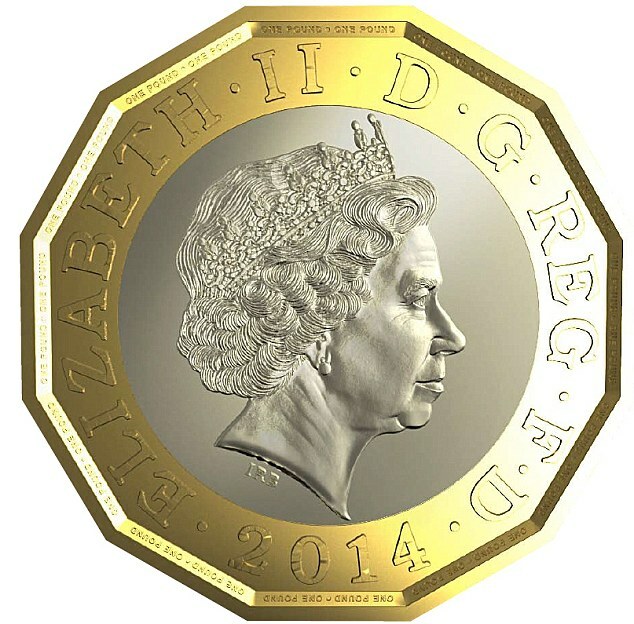 In addition to seeing their design on the nation’s most important coin, the winner will be invited to visit The Royal Mint to strike their own design on a new £1 before the coins enter general circulation, when they will ultimately see their design on currency used by millions of people every day. They will also receive a fee of £10,000 in exchange for the right to use their design. The design competition is open to anyone who wishes to enter, irrespective of age or nationality. The Royal Mint’s dedicated competition webpage includes helpful hints, design tips and images of previous designs for inspiration. Entries and designs will only be accepted on an official submission form, which can be obtained by downloading the Competition Pack from www.royalmint.com/newonepoundcoin. All entries must be submitted by 23:59 on Thursday 30 October 2014. The government expects that the coin will be 12-sided and bi-colour, with a gold-coloured outer ring and a silver-coloured centre. Designs should be based on the specification of the proposed coin, on which the government is currently consulting. The Royal Mint will work with the winning entrant to ensure that their design fits the final specification. A portrait of Her Majesty the Queen will be used for one side of the coin. Entrants will need to provide a design for the tails, or reverse side, only. The denomination ONE POUND must appear as part of the overall design but it is left up to you precisely where it is placed within the design. The expected diameter of the coin will be between 22.5mm and 24.5mm. For design purposes you may like to assume the midpoint of this range, however the final specification will only be announced following the completion of the public consultation process. Your design should be orientated with a point of the proposed12-sided shape at the base. Designs must not include a recognisable likeness of a known person, whether living or dead. Your design must be your own work, must not be copied from someone else and must not contain any third-party materials and/or content that you do not have permission to use. All designs submitted should be presented on the supplied template, which can be downloaded from The Royal Mint website. Designs can be submitted in pencil, ink, paint or using computer drawing or design software. We cannot accept 3D entries, including collages or models. To ensure the competition is fair, please do not include any initials or identifying marks on your designs. The winner will be identified via their unique reference code, and it is therefore very important that the registration process is completed correctly. Three-dimensional models will be made of the designs that are short-listed towards the end of the selection process. A fee of £1,000 per model will be paid to those invited to prepare models of their designs. This payment will be reduced to £250 per model if the models, by agreement, are prepared by The Royal Mint. The full terms and conditions can be viewed at: www.royalmint.com/newonepoundcoin. The Royal Mint will work with the winner to adapt their design to the final specification of the coin, following the public consultation.